With the ecommerce industry in the UK worth an estimated £133 billion, it’s clear that online ventures can be extremely lucrative. But how do you go about setting up shop online yourself? Whether you’re an established retail business looking to make the transition online, or you’re a budding entrepreneur wanting to get started in ecommerce, this article is for you. Are you a budding entrepreneur based in Cardiff? Take a look at this great funding opportunity that could help you get your business off the ground. If you’re not already established, but you’d like to set up an online store, you need to make sure that your product offering is going to appeal to your target audience. There are a number of ways that you can do this, but a good place to start is to try and understand your target audience. What products or services would positively impact their day-to-day lives? What products can you provide that would fill a gap in the market? To answer these questions, you need to create a set of buyer personas by carrying out detailed research into the lives of your target audience. Learning about their age bracket, purchasing habits, desires, education level, and pain points will help you get to the crux of what products will appeal to them. If your existing product idea suits – great! If not, perhaps you should go back to the drawing board and come up with some fresh ideas. If you’re feeling a sense of national pride, why not specialise in traditional Welsh produce? The key is to offer something a little bit different, and stocking Welsh-made goods such as woollen products, traditional Welsh cider, or artisan cheese online presents a great niche opportunity. 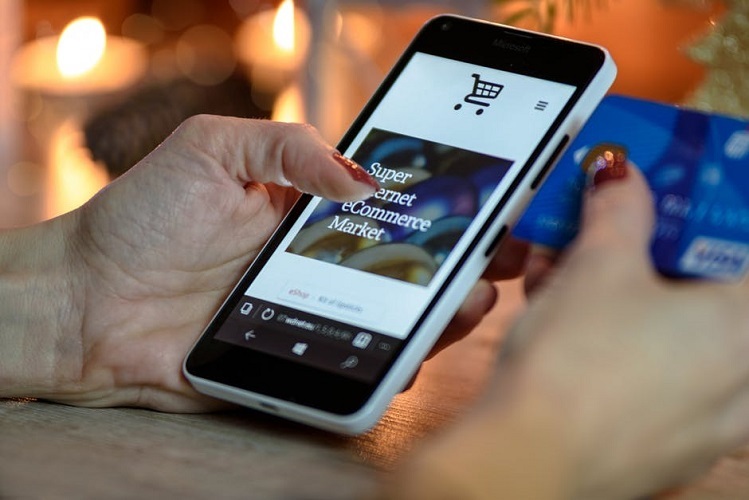 The staggering growth of online shopping has led to an increased demand for storage capacity in the UK, and this has left many businesses stumped for how to best manage their ecommerce stores. If you’re hoping to overcome this obstacle, or perhaps expand your existing product range with minimal required investment, you should consider using the dropshipping business model for your online venture. Dropshipping involves an arrangement between business and manufacturer, whereby the product is sold through an online store, but shipped and fulfilled by the manufacturer directly. In other words, the online merchant does not need to worry about stocking inventory – or renting storage space. One of the best ways to operate this business model would be by setting up an online store with an ecommerce builder that can integrate directly with a dropshipping solution. Take a look at this guide on some of the market leading dropshipping integrations that can help automate and growth-hack your business. The beauty of content marketing is that it can encompass any kind of online and offline content, from social media to billboards. It is your chance to develop your brand voice, inject personality into it, and convey your brand’s message. It is one of the most important tools in your sales arsenal. Pro tip: For best results when conjuring your content strategy, ensure that you use a consistent brand voice across all channels. This way, your communications will appear more recognisable and trustworthy. Whether you’re a vintage clothes retailer in Cardiff, or a shop selling home-made jams in Rhondda Valley, social media will open your online store up to new, targeted audiences. Online social selling is a potentially low-budget way for new Welsh businesses to make their mark and share their brand story and personality effectively. Which social networks do they use, and what kind of content do they engage with? Do they prefer written content on Twitter/Facebook or visual content on Instagram? What time of day are they most active? This information is the key to success on social media. The most important thing about your social media strategy is to constantly measure the engagement levels of your posts and alter your course accordingly. Check out third party tools like BuzzSumo to get some cross-network data on how you’re doing. Your social strategy should be backed up by other digital strategies like content marketing, influencer outreach, and digital PR. From finding a product that will sell to crafting a content strategy, this guide will ensure that you are well-advised to go away and set up your own online store in Wales. If you need to expand your product range or want to get up and running on a budget, dropshipping could be the business model for you. My work is a labor of love: I get to collaborate with inspiring people and businesses from around the world. I help set them on the road to success by producing effective content marketing and social media strategies.